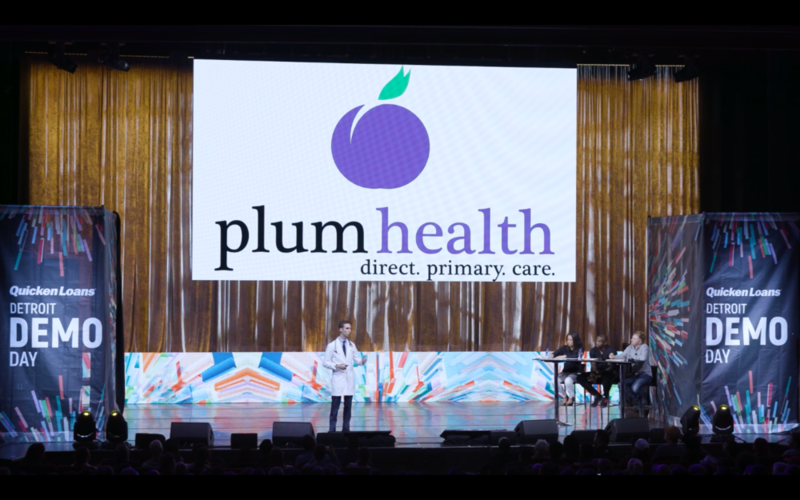 Last night, Plum Health DPC won the Detroit Demo Day 2018 prize for $50,000 in the "Start" category! 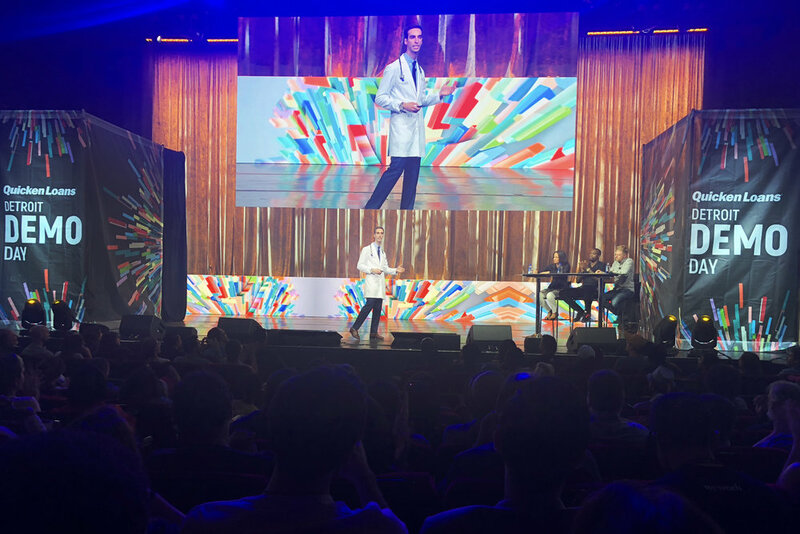 This was an amazing experience from start to finish - the level of professionalism on the Demo Day team is unrivaled. It was an honor to even be selected for the pitch competition, but then to have a team of professionals help me hone the pitch, and a team of people create such an amazing event to showcase small businesses in Detroit was truly incredible. Thank you to these folks at Quicken and at the Music Hall! I was blown away by the amount of people who came out to support entrepreneurship in Detroit, the Music Hall auditorium was packed with cheering family members, friends, business associates, investors and enthusiasts - this is truly a special moment in Detroit for entrepreneurs and small business owners. Additionally, I have so much love for all of the presenters and Detroit entrepreneurs who stood tall and pitched their unique businesses, whether or not they walked away with prize money. They are all worthy of your support as they've worked tirelessly to even get onto this stage - House of Pure Vin, Michigan Farm to Freezer, Rebel Nell, Accelerate Kid, Building Hugger, Cynt-Sational Popcorn, Detroit Denim, Tait Design, The Ten Nail Bar, Bloomscape, Lush Yummies, Reilly Craft Creamery, Fangage, and Yum Village. Now that we've won, we plan on growing into a larger space, hiring another doctor, and serving more people in our community. This is just the beginning. If you're ready to start your journey to better health with Plum Health, you can enroll online here, or call 313.444.5630. Thanks so much for reading, and have a wonderful day! - Dr. Paul Thomas, MD with Plum Health DPC, delivering affordable, accessible health care in Detroit and beyond. 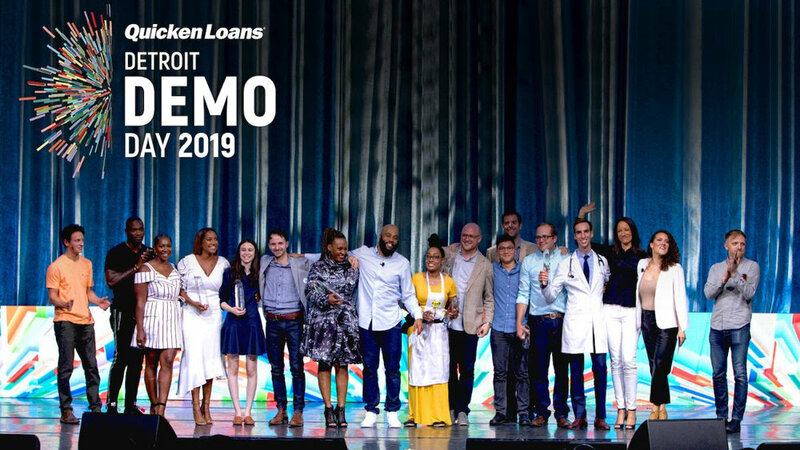 Screenshot from Quicken Loans Detroit Demo Day video - winners from the "Start" category including Justin Mast of Bloomscape with a $75,000 prize, Paul Thomas MD of Plum Health DPC with a $50,000 prize, James Chapman (host), Jennifer Lyle of Lush Yummies Pie Co with the $25,000 People's Choice Award and the $100,000 prize, Ron Bartell of Kuzzo's Chicken and Waffles and former Detroit Lion (judge), and Janelle Bechdol of The Hall Pass Tour (host). Judges not pictured here are Anne Sempowski Ward a Detroit native and CEO of CURiO brands and Charles Adler the Co-founder of Kickstarter. Further reading: Crain's Detroit Business has written an article about the event, here. The Detroit News has written an article about the event, here. Above are photos from my friend and fellow Detroit Entrepreneur Fares Ksebati and below is a video from my friend and entrepreneur, Andrew Koper. Fares and Andrew, thank you for capturing these moments of the pitch and thanks for being there!